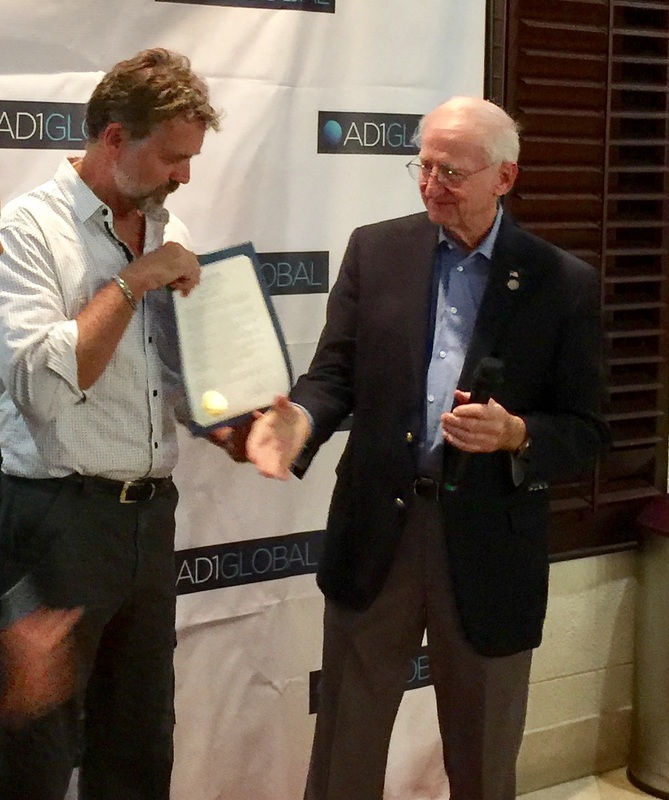 Actor/director/filmmaker John Schneider is now an honorary citizen of North Palm Beach. As former mayor and current President Pro Tem Darryl Aubrey told Schneider during the presentation, "That means you don't have to pay taxes." Schneider and his movie production partner, Alicia Allain, are here for his traveling CineFlix Film Festival, featuring a selection of independent movies at the Cobb Theater in Downtown at the Gardens today through Nov. 17. Sunday night, Schneider and Allain were honored at a fete hosted by Mary Lou and Joe Tringali of Calkins Harbor Publishing at the Best Western on US Highway 1. 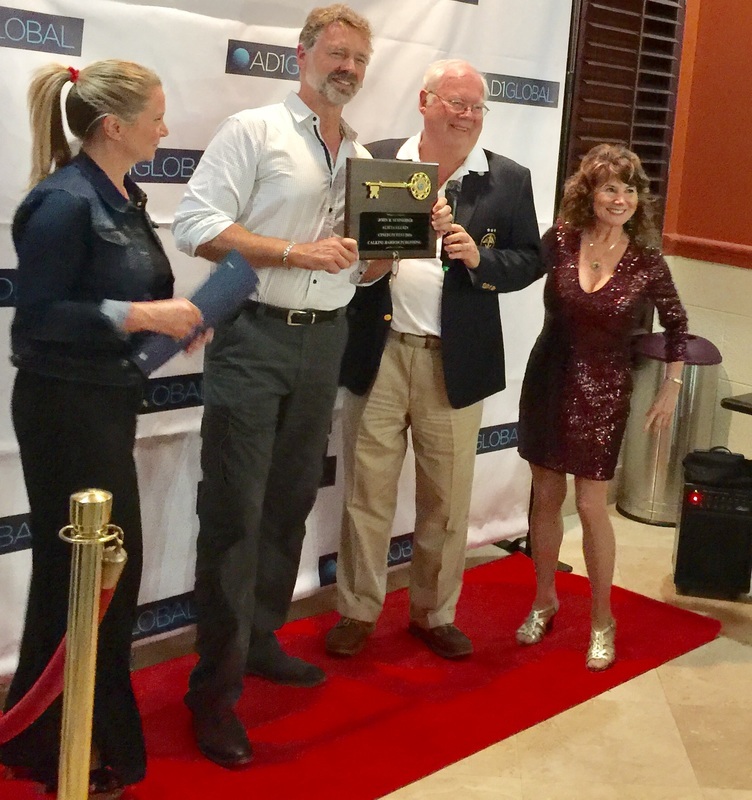 Along with the proclamation declaring "John Schneider Day" in North Palm, the former Dukes of Hazzard star was also presented a key to the city -- twice. The first one Joe Tringali procured from an Ace Hardware store. But Mary Lou stepped in with the real deal on a plaque. Joe Tringali presents John Schneider the "Ace Hardware Key to the City"
If any song can take me back to my childhood, it’s that one. As a child of the 80s, I vividly remember Bo and Luke Duke and the General Lee, and who could forget the merchandising? The Hot Wheels cars, the die-cast metal toys, the action figures: All staples of my formative years. The Dukes of Hazzard may be long gone, but Bo Duke actor John Schneider is still going strong. 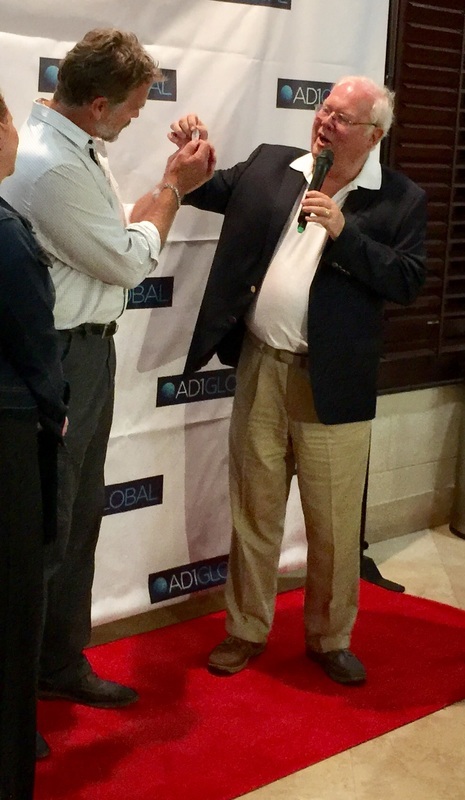 I had the distinct pleasure of meeting this prolific actor at the reception held in his honor in North Palm Beach the day before his independent film festival kicks off at the Cobb Theatre Tuesday. ​ Humble, down to earth, extremely personable, Mr. Schneider was all these things. He’s a man who prides himself on shunning the Hollywood lifestyle and this shows through when speaking to him. Good ol' boy indeed!